These teaser wand attachments are made of deer hair and colorful feathers. They bounce around on this strong fishing line like little bugs. Great exercise for your cat! The fishing line is light weight which will create a life like movement to excite and entertain your cat. 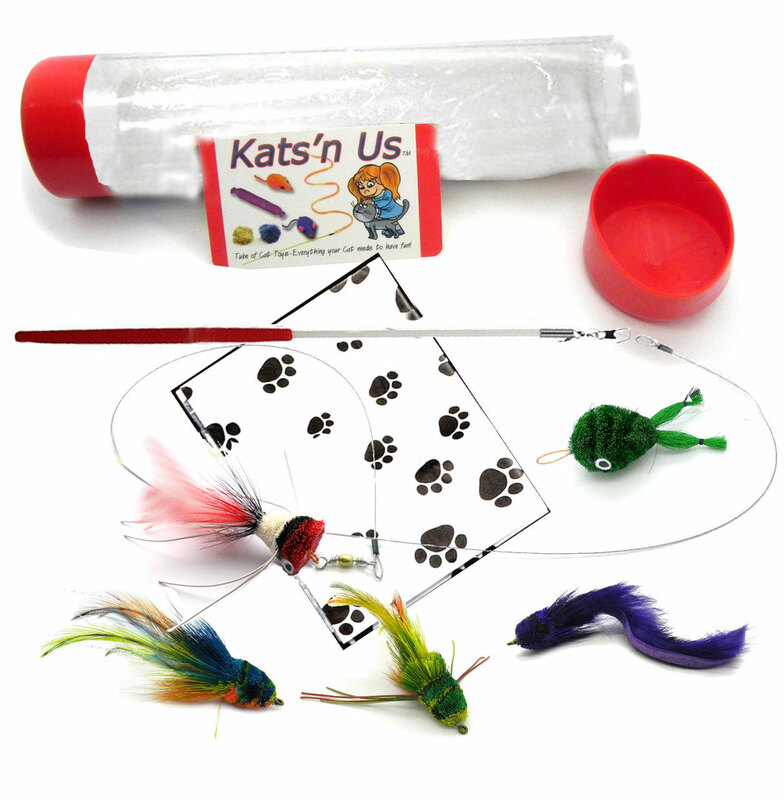 Cat toy Wand with 5 Kat lure Kat Fly® Teaser Toys. This Cat teaser wand attachments come in bright colorful designs. Each Body is about 2 inches long. The wand is 12 inches long decorative acrylic plastic. Cat Wands brings out the natural hunting instinct! Great interactive toy for your cat! Recommend supervised play! Description: Cat Teaser Wand with 4 Refill cat Toy attachments in a convenient storage tube.